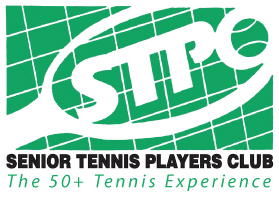 Give yourself the gift of tennis + fun for another year by renewing your STPC Membership at Join STPC. We also have two check paying options. Click on this link and go to Step 3: Become a member. You will see Option A and Option B to choose from. Tennis is being played all over the Twin Cities. 1. It’s Time to Renew Your STPC Membership for 2015! Give yourself the gift of tennis + fun for another year by renewing your STPC Membership. 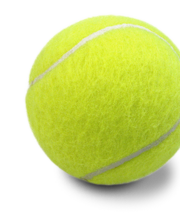 The new SeniorTennisMN.org website is up and ready for you to sign up online. Signing up is easy and secure. The website’s online credit card transactions are processed by Stripe. Stripe is certified to PCI Service Provider Level 1, the most stringent level of certification available. Signing up online also saves the club valuable administration time. We also have two check paying options. Click on this link and go to "Step 3: Become a member". You will see Option A and Option B to choose from. 2. Sign up for our Valentine’s Party! Only 9 spots left - don't miss out! Purchase your tickets early while they are available. Scroll down to the bottom of page of the above link to purchase tickets. Retired long-term Gustavus Adolphus college professor and tennis coach Steve Wilkinson died on January 21st, after a seven-year fight with cancer. Known as the ‘winningest coach in college tennis’, over the course of his 39-year coaching career Steve led the Gusties to multiple Conference and National championships. Steve was an accomplished tennis player himself, playing for Iowa, and later representing the U.S. in Dubler Cup, Perry Cup, and Austria Cup play. He also competed on the Senior Tennis Circuit, where he ranked No. 1 several times. In 1977 Steve and his wife Barb founded Tennis and Life Camps (TLC). Many of our Club members have attended these camps and I know a number of you are planning on being there this summer. Steve and TLC have been good friends to STPC. Steve spoke at our Annual Luncheon three years ago, as did his TLC successor, Neal Hagberg, the following year. You may want to consider Steve’s recently-published book, Let Love Serve; a Memoir Celebrating Tennis and Life. I first met Steve almost 30 years ago when I showed up for the first time at TLC. Attending camp faithfully through the years I came to understand more fully what the Camp had to offer – not only first-rate tennis instruction, but an introduction to a broader appreciation for the sport, with the help of the Three Crowns (borrowed from the Gustavus logo) – positive attitude, full effort, and good sportsmanship. A TLC cornerstone is reliance on the ‘Serenity Prayer’, and a commitment to concentrating only on those things within our control, whether on or off the court. Steve was about my age, and over time I got to know his family and the senior staff at TLC. A couple times a year we’d exchange mail or emails, typically in connection with a newspaper article on sports or sports ethics, but sometimes concerning a situation I had encountered on the court, when I needed his advice. The memorial service for Steve was held last Saturday on the campus at Christ Chapel. It was a heartfelt celebration of a life well-lived. Thanks, Steve, for your gift to my Tennis, and your gift to my Life! 4. A suggestion for all captains from Louise Halverson! Since the club is changing the way members renew, now is a good time to check to see if all your players and subs have renewed. Everyone should have received an email around Dec. 17 giving instructions on the new renewal process. It's quite simple, but different. The only members receiving an envelope with a paper renewal will be those without email addresses. I am a captain and noticed that most of my players had not renewed, so I sent out an email. We can also remind them when we play tennis. Since it is so late in the year that the notices were sent out, I don't think anyone will not be allowed to play right away, but it would be good if we captains can help with the renewal process. If someone has lost the email, he or she can go to seniortennismn.org, create a username and password, and renew. Please remember that each member needs to have their own email address. 5. Sign up for Tennis Clinics! The following clinics are available. Please click on the links below, print the document and follow the instructions to register. Our sincere apologies to those few members who received a mailed Senior Tennis Times newsletter by mistake. The issue has been sorted out. Thank you for your understanding. Copyright © 2015 Senior Tennis Players Club of Minnesota, All rights reserved.